The perfect way to celebrate the arrival of a new baby! This cute mouse in Tender Pink crystal has one ear in the shape of heart. 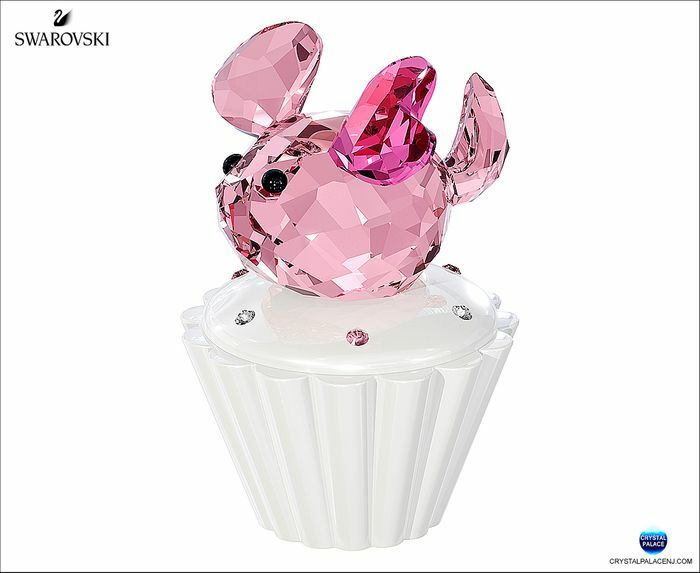 The animal is sitting on a cupcake in porcelain, which is decorated with crystal chatons that can be used as a keepsake box.